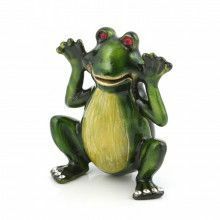 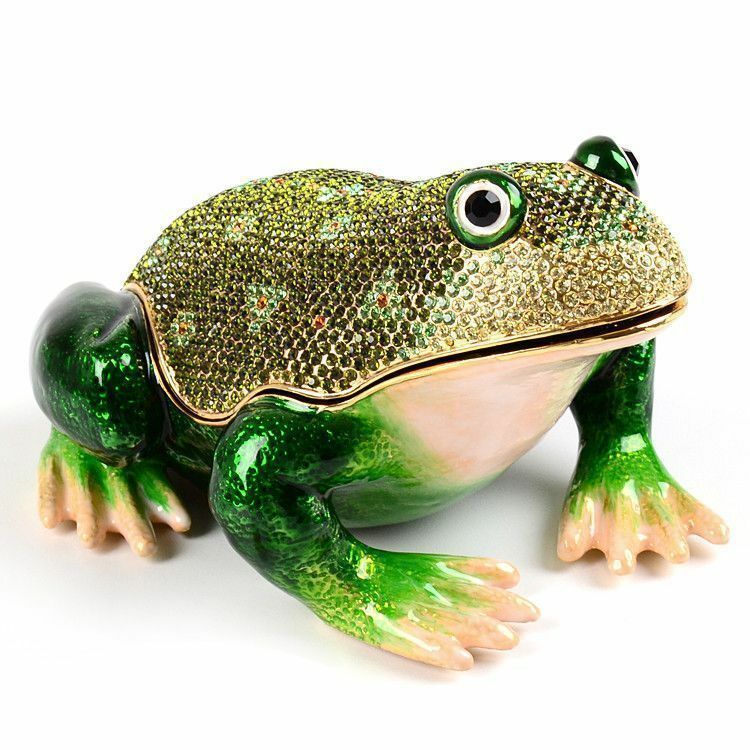 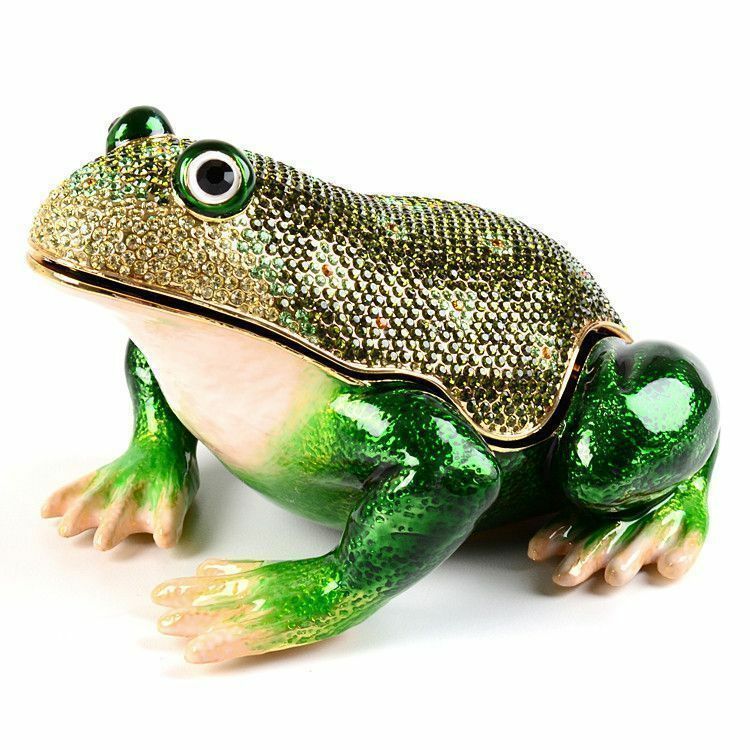 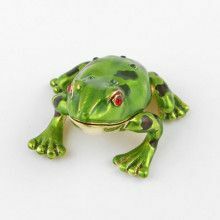 This very large frog trinket is sure to turn heads wherever you put it! 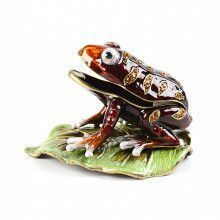 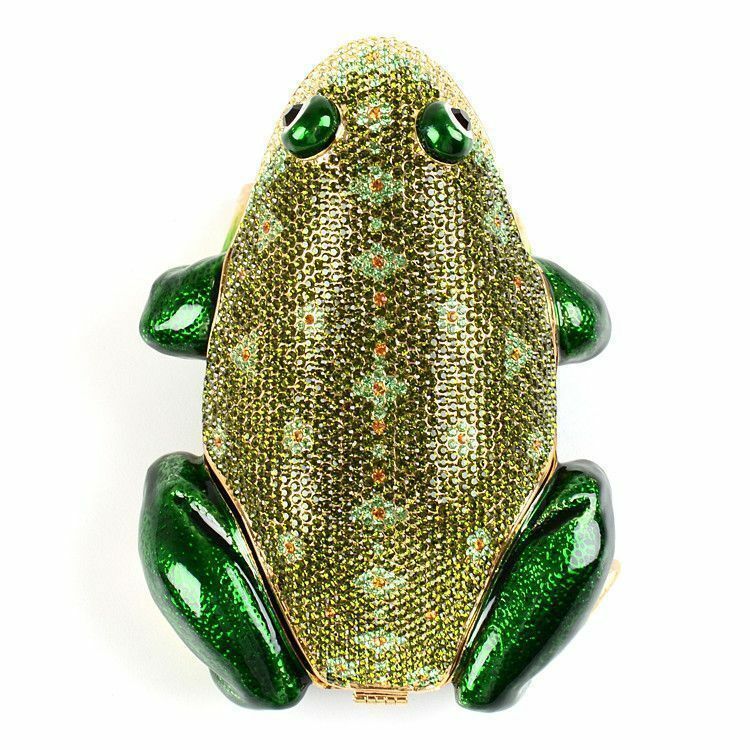 It features many sparkling crystals, set in a wonderful pattern on the back of the frog's body. 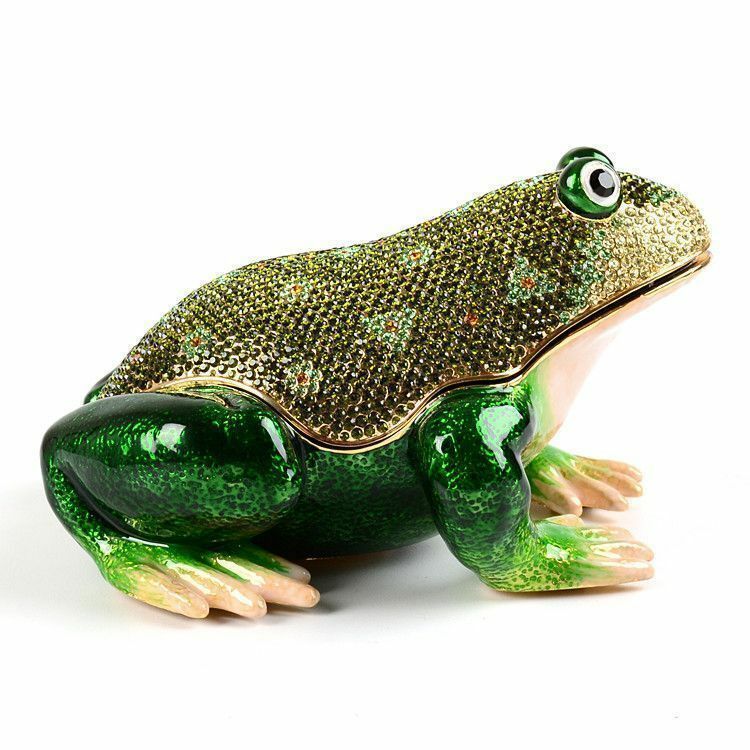 This over-sized frog also features gold plating and a very roomy interior. 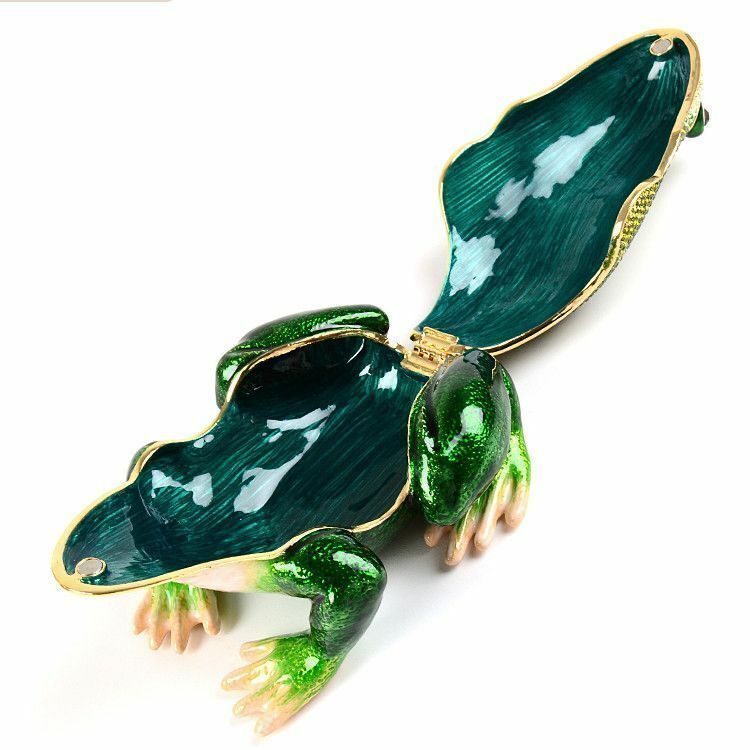 A magnet and hinge allow the frog to open and close easily and securely.